So, what’s difference between a Comet and an Asteroid I hear you say? Good question. Well, let’s start with what they both have in common. They both orbit the sun, and most likely in other systems orbit other sun’s. They are both leftover materials from when the solar system was created and are hurdling through space. The big difference is what they are made up of. 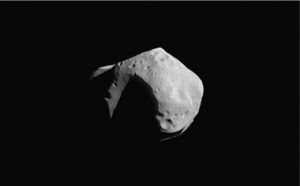 Asteroids are mostly made up of rock’s and metals, and while comets can be made up of different rocks, they also have different materials in them like ice and dust. Way out in the solar system past the furthest planet from the sun there are large numbers of comets that we know about and can see and track through telescopes. Some of these comets are small in size and some are very large. Some of these comets are part of the ‘Oort cloud’. Some of these comets break off in orbit and move towards the sun. The edge of the cloud is believed to be the edge of the solar system. 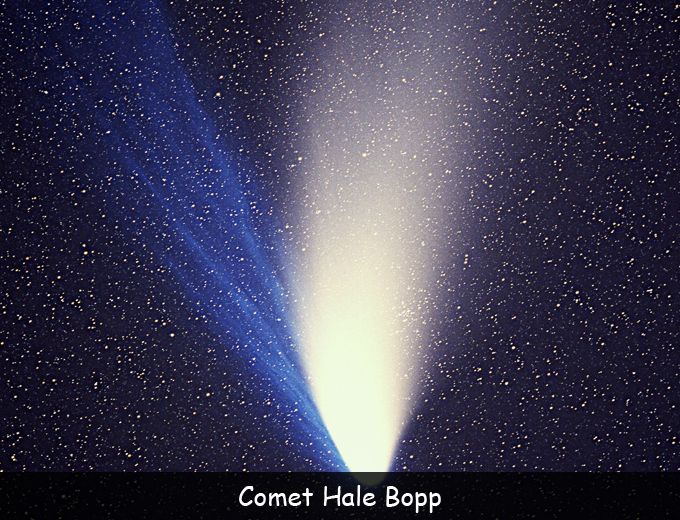 Comet Hale – Bopp is one of the most well-known comets that has come close to Earth. It was also one of the brightest comets ever seen in the sky from Earth. This comet is in constant orbit around the sun on the solar system; however it will not be back Earth’s way for a very long time. We also now have the technology to get really close to orbiting comets to study them and in fact believe or not we have successfully landed in a comet. The Rosetta – Philae was the first successful mission to land a space craft onto a comet. We really have come a long way haven’t we! # 1. Comet sizes range from as small as 1 mile to as large as 300 miles. # 2. Comets have two tails. 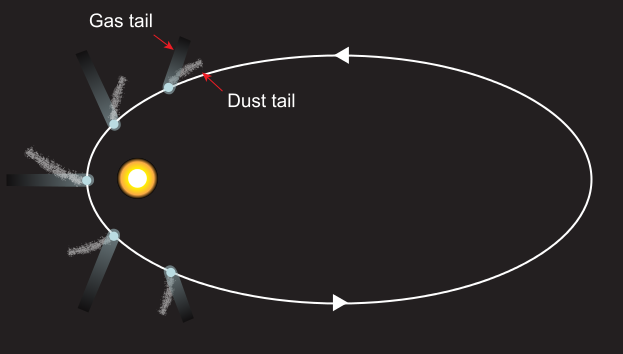 A dust tail and a plasma tail. # 3. The well-known Halley’s comet will come back into the inner solar system sometime in 2061. Q. Where do comets orbit in the solar system? Q. How big is Halley’s comet? Q. How fast is Halley’s comet? Q. What is the name of the first comet landing? Q. 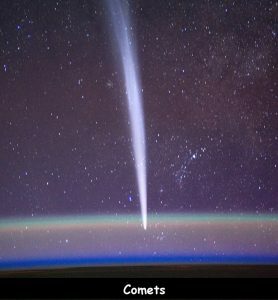 What are the names of the 2 tails that comets have? Key Vocabulary Space. Solar System. Sun. Asteroid. Earth. Rocks. Metals.